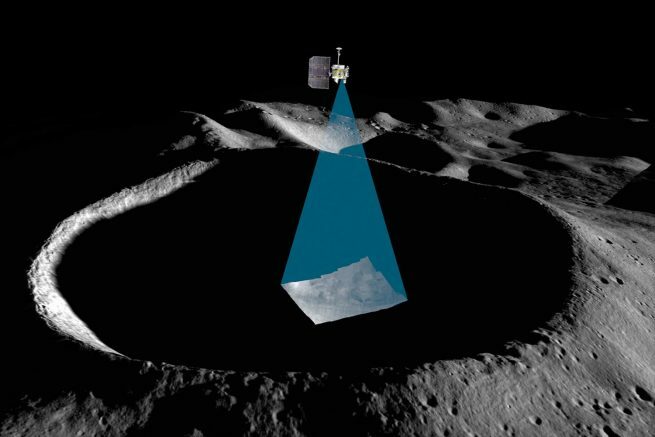 LAMP has a light collection feature that measures reflected signals on “the light side of the moon” which allows scientists on earth to accurately measure if there is water, and how much of it might be present. According to NASA, until recently, the majority of scientists believed the lunar surface was much like that of a desert; dry, arid, and void of any signs of life. It was hypothesized that water existed only in small pockets of ice near the lunar polar caps. However, new discoveries have led scientists to understand that water molecules may lie within the lunar soil, and actually move during different times of the lunar day. At the beginning of the lunar day, water molecules remain within the soil, known by astronomers as the regolith, until temperatures climb to a peak around lunar noon. At this point, the water molecules become more active and can “jump” from one cold surface to another, or even populate the extremely thin lunar atmosphere. Once the temperatures fall, the water molecules return to the surface. The ultimate hope for these recent observations that they could aid NASA and industry in the understanding of lunar water and how it could be used on future exploration missions to the Moon. Scientists currently believe that ions of hydrogen that are embedded in solar winds may account for the moon’s collection of water molecules at the surface. In conjunction with the LRO’s recent discovery, scientists now believe they have an understanding of how water is stored, behaves, and builds up over time on the lunar surface.